This will be the first year that my family and I go strawberry picking and I cannot wait! I'm going to try my hand at homemade jams, strawberry pies, strawberry ice cream, and even strawberry strudel. But until the time being, I'm going to have to use store bought strawberries. I had some left over strawberries from the pie I made this week along with chocolate chips and heavy cream. 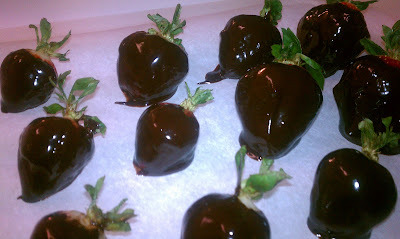 My insatiable sweet tooth ultimately lead me to making the classically romantic dessert, chocolate covered strawberries. 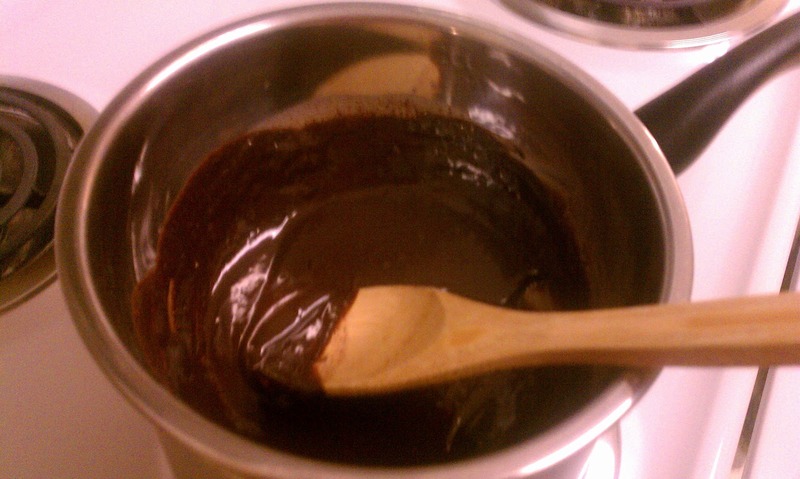 This recipe by Ina Garten is so unbelievably easy, yet results in such a smooth and shiny dessert. 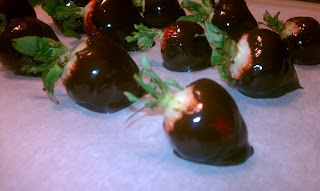 For all you strawberry lovers out there, here's an amazingly delicious, yet simple chocolate covered strawberry recipe. 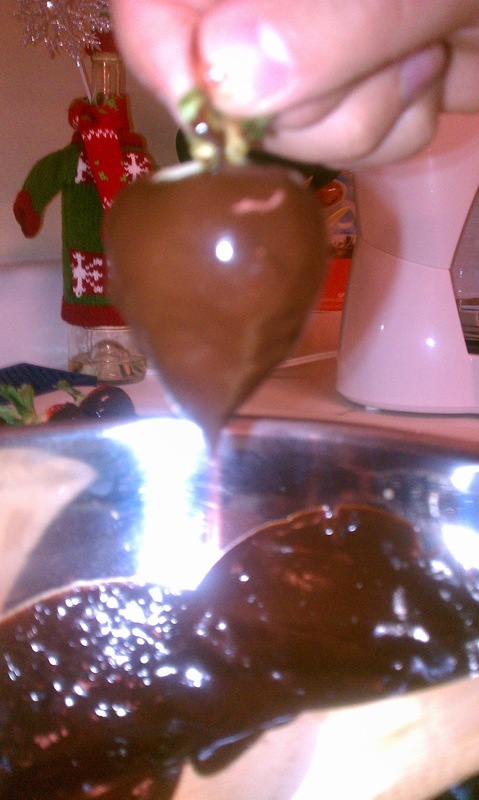 Using a heat proof bowl, melt the chocolate chips and heavy cream together over simmering water. Once melted, add the vanilla off the heat. 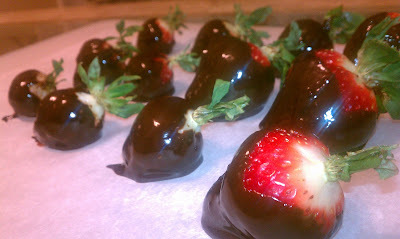 Line a baking sheet with parchment paper and twirl the strawberries in the chocolate until completely coated. Set strawberries on parchment paper and place in fridge until chocolate has hardened.